Waltzingmouse Stamps - Preview Day 1! Hello friends and welcome to the April release at Waltzingmouse Stamps! This week we've got some really fun stuff to show you and I hope you will enjoy looking at the previews as much as I had creating them! 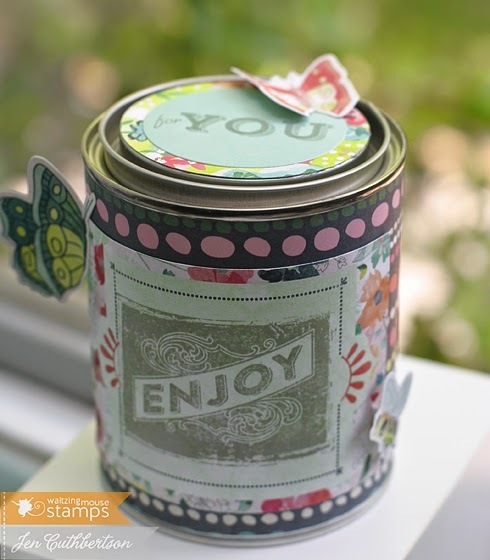 Today we are previewing a new stamp set called "Tag Collection 1" and I had fun making something other than tags with it - I made this cute little decorated canister, perfect for a birthday or Mother's Day gift! 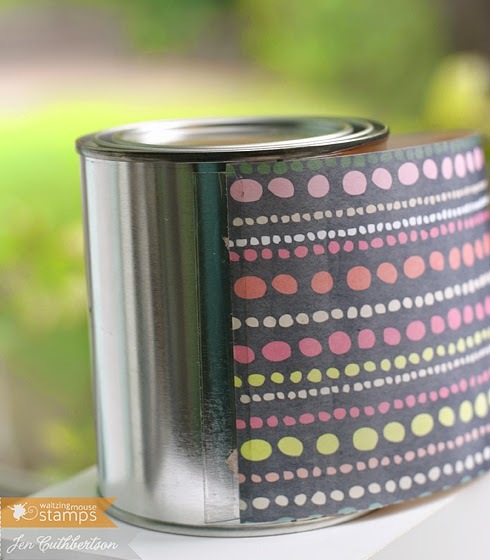 I started off with a simple tin canister with a pry off lid (kinda like a mini paint can.) I took some strong double-sided tape and wrapped it with some patterned paper. 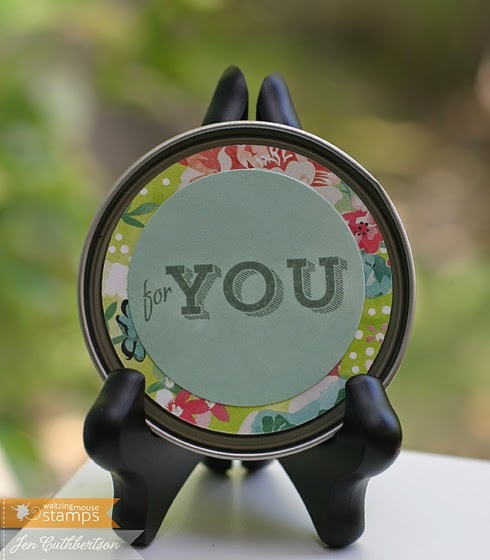 I took the lid and cut out a couple of circles of coordinating papers and stamped one of the sentiments from the set on the smaller circle. I glued this to the lid of the canister. 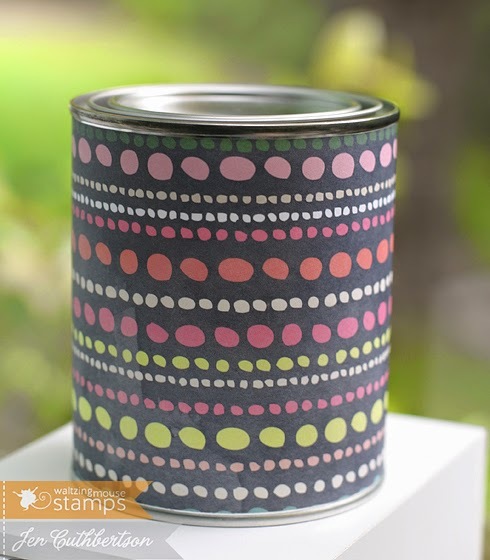 I took a journaling card from the paper collection and stamped it with one of the images from the set and adhered it to the paint can. I finished the can with some die cut butterflies and a cute little bee! Welcome to the Mother's Day Inspiration Blog Hop! If you're here from Libby's blog, you're in the right spot. If not, head over to Donna's blog to get started! 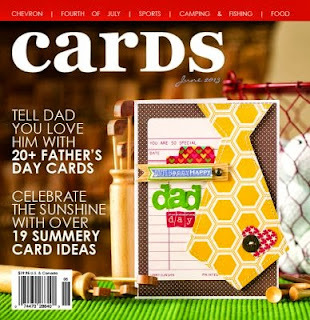 Be sure to check out all the blogs listed below for tons of crafty Mother's Day Inspiration. While my project isn't a traditional Mother's Day card, it is a card inspired by and for my mom! 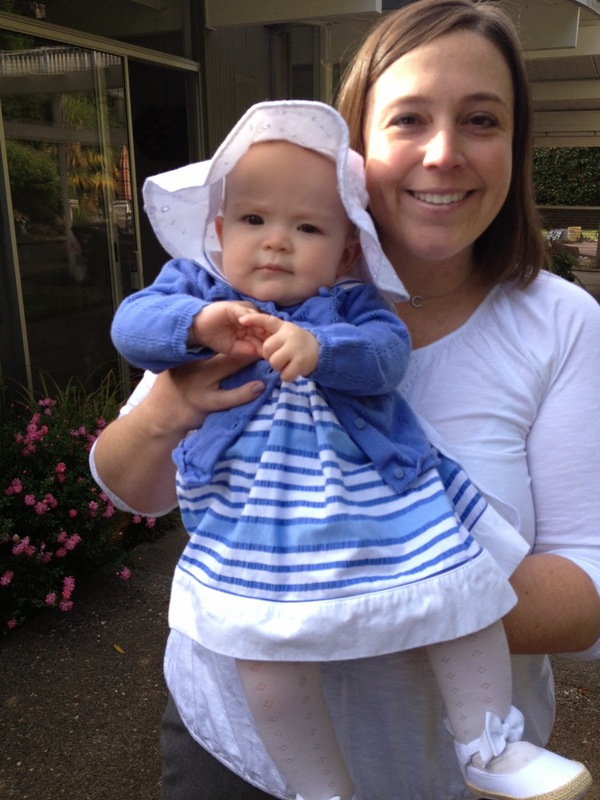 I've had so much fun chatting with her lately about raising kids and am finding out that Amelia is very much like I was at her age. My mom read a funny bit from her baby journal from when I was 7 months old and it said "likes to stand in the crib and scream at night." Oops… sorry, mom! :) Anyway, my mom loves to sew and quilt and I thought this was perfectly inspired by her! I started off with a piece of ledger patterned paper which I stamped with a stitched heart stamp. I then took several different checked and polka-dot patterned background stamps to create the red squares and punched them out with a scallop punch. 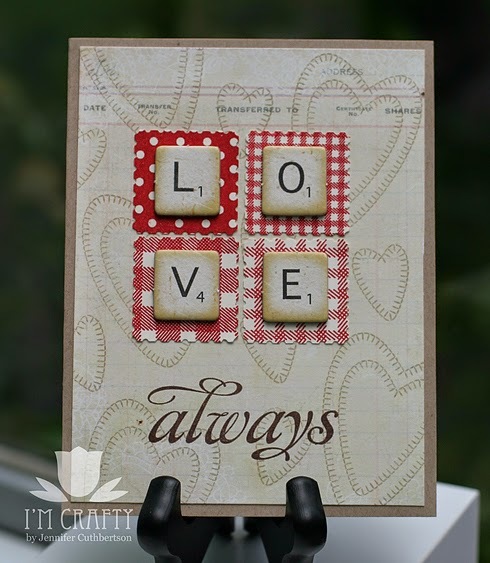 I layered some Scrabble piece chipboard letters on top of the little "quilt" squares and then stamped the "always" sentiment underneath. I think she will love it! Off you go to Ceal's blog! Have a great day and thank you so much for visiting! Hello friends! 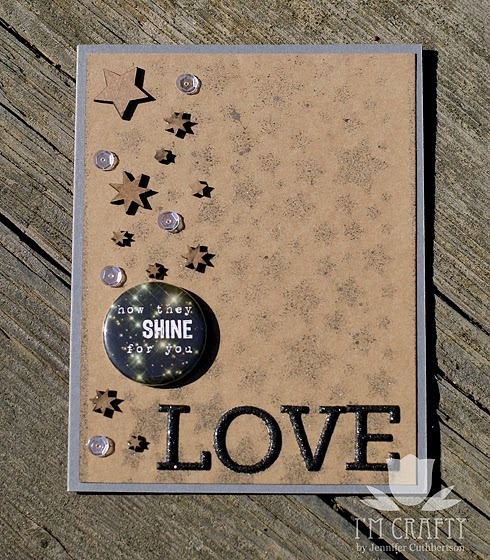 Today I've got a card to share with you that I made for a couple of Verve challenges - the "Little Things" dare and the Chevron Chic Inspirations challenge. 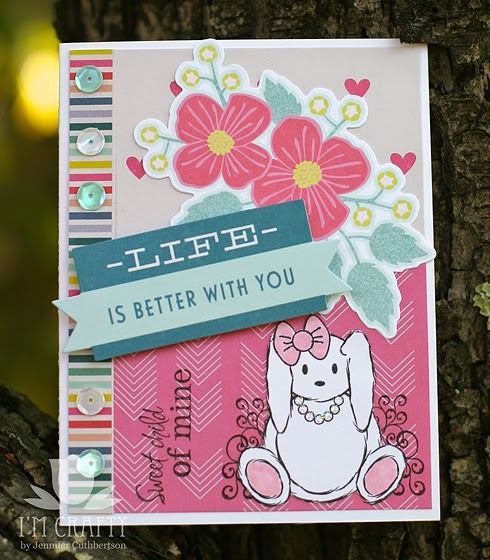 For this card, I used a couple of patterned papers and some die cuts from a new collection and then stamped the sentiment and adorable little bunny from Practically Perfect. I pieced the bunny and colored her little ears and feet with a Copic Marker and added some Stickles to her little pearls. Thanks so much for visiting today and have a great day! Hello friends! Today I've got my very first post as a DT member over at The Twinery blog - I hope you can head over there to check out all of the inspiration! The new DT have so many great uses for twine and I'm sure you'll get a new idea or two! I've been having a lot of fun lately with hand stitching (I bought a little machine with my Christmas money but I'm still intimidated by it!) I got these great little wooden buttons from Studio Calico a month or two ago and decided to thread one up! I used Caribbean solid twine and a big embroidery needle to thread up this cute little anchor. 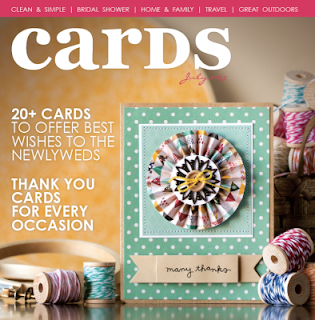 For the card, I used several coordinating patterned papers and a journaling card from Studio Calico to build the card. 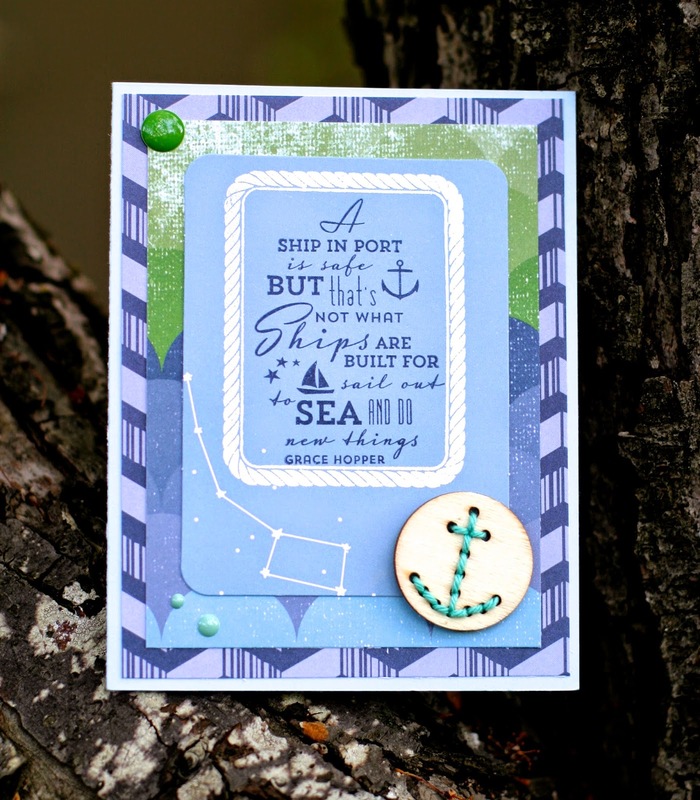 I embossed the rope frame image and stamped a sentiment from Safe Harbor Sentiments from Waltzingmouse Stamps. Thanks so much for visiting today and I hope you have a wonderful day! Hello friends! I'm up today on the Waltzingmouse Inspiration Blog. 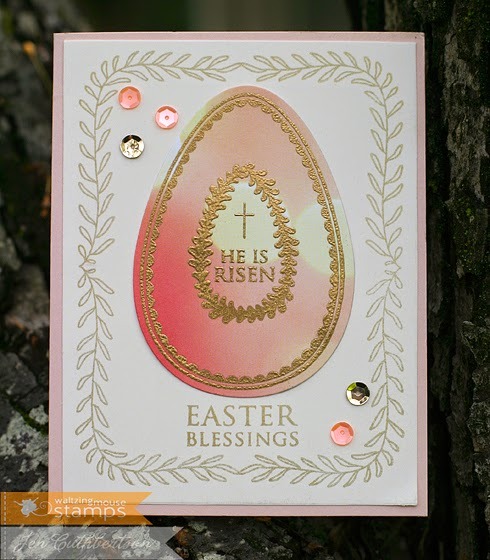 Head over there to get the deets on this elegant card! 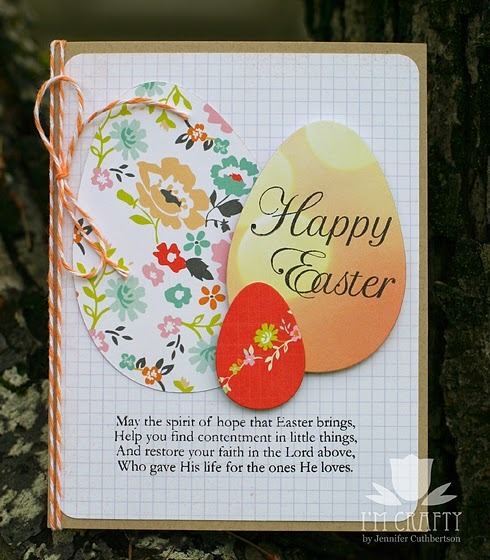 Welcome to the Easter Inspiration Blog Hop by The Inspiration Crew. This hop is just for fun. We’re posting projects we made using products we like and hope they will give you some inspiration for your own Easter craft projects. I was die cutting eggs to stamp for another project and thought they looked so pretty just cut out of gorgeous paper so I thought up the idea for this card. I just got two new collections from Webster's Pages and cut these eggs from papers from the "Our Travels" collection. It's hard to tell from this photo but the orange egg is a gorgeous bokeh paper - orange, yellow, and red - looks like lights in the distance. Yummy! I stamped that egg with the Happy Easter sentiment and then stamped a longer sentiment on the bottom and finished up with some cantaloupe twine He is risen, indeed! You will find links to all the other participating bloggers below. Hopefully you can find time to look at their blogs and leave comments on any that inspire you. Happy Easter Crafting!! Well, that's enough sap for one evening. Back again soon, I hope!